National Pension System (NPS) has been launched by the Government of India to provide corpus at the time of retirement. Read the article about new NPS tax rules beneficial to you?. Click here to read. As I respect the Indian Army, I would like to give a piece of valuable information to them. On February, 2019, 40 Indian Soldiers were killed by Millitants. Their souls should rest piece. Some of you know that I am Certified Financial Planner and Sebi Registered Investment Adviser. Sanjeev Govilla( Ex. Army is also a Sebi Registered Investment Adviser like me. Soldiers may feel comfortable to hire him as Investment Adviser than a person like me. As of now, only 2000 soldiers are taking his services but soldiers are in lakhs. I request those who are reading this article to share this article to them so that they can find Sanjeev Govilla contact details. Those Indian soldiers who want Telugu Investment Adviser can contact me. 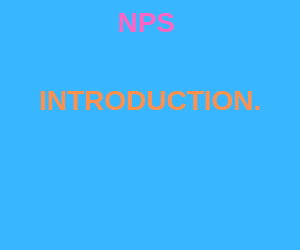 (nps)- What is it? How to join in it? Prior to 1st April, 2014, All Government Employees are eligible for a pension under Defined Pension Scheme. But after, 1st April, 2014, Except Armed Forces, for other Government Employees, Defined Pension scheme was withdrawn. As a replacement to Defined Pension scheme National Pension System has been launched for them. First it was launched for only Government Employees Now it is available to all Citizen of India. This scheme is to generate retirement corpus at retirement, it will not give you the pension. At the time of retirement, you need to buy annuity policy from any life insurance company by depositing the corpus accumulated in NPS. For all subscribers, Permanent Retirement Account Number (PRAN) will be allotted. All citizens whose age between 18-65 can join visiting POP-SP or through eNPS(with aadhar or pan card and bank details). If you are aged between 18-60 years, you can submit your PRAN application at Point of Presence-service providers (POP-SP) to enroll to NPS. You need to fill all the fields carefully like Name, Address etc and all the required documents must be submitted. In addition, You need to complete KYC(know you customer) also for NPS subscription with Pan, aadhar and photo. Here, You can find NPS offer document in this link. Click here to find the link. You have to submit the PRAN application along with KYC at point of Presence-Service Provider(POP-SP. They will provide an receipt. CRA will courier PRAN card to your address. You can track the status of your courier with this link. You have contribute minimum contribution of Rs.500 for this scheme submitting NCIS( instruction slip) mentioning the details related to PRAN account. You can subscriber to this pension scheme with aadhar. your mobile number should be in your aadhar data base. You need to complete your KYC using aadhar OTP. In addition, you need to fill details online. Moreover, you need to upload your scanned signature of jpg format, and size of the image must be between 4 kb to 12 kb. Your photo will be fetched from aadhar database. You may upload other photo of yours. Then, you can make the payment online using Debit card or internet banking. At present aadhar based registration is disabled. It may be allowed again. You should have pan card to get registered in this process. You need to do KYC with the verification done by your bank. In addition, your address in bank and address provided while getting registered in eNPs should match. Otherwise, your application may get rejected. Then you need to contact your bank. You have to fill details online only. You need to upload signature image in jpg format, photo. Size should be around 4 kb to 12 kb. Finally, You need to make the payment online towards your NPS account online. Click this link to subscribe to NPS online using Pan and Bank kyc verification. How NRI can subscribe to New Pension Scheme?.. Nri should select Bank account status i.e Repatriable account or Nom Repatriableaccount. Should upload Nri bank pass book copy and pass port. They can do verification process using any of the below two methods. Read article Agent, Distributor, CFP, Sebi Ria-Who is best for you?. Click here to read. Also, read what happens to your bank account when you die?. Click here to read.